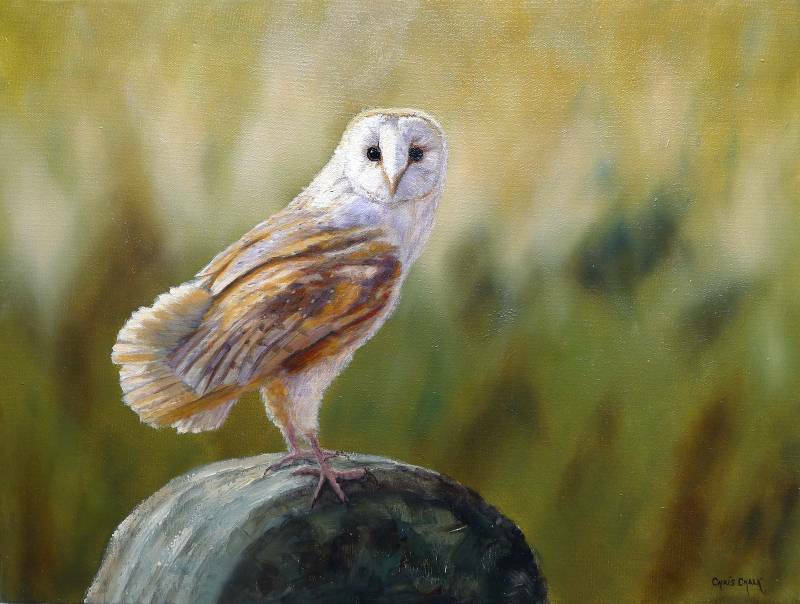 Inspired by my many trips to Cilgerran Wildlife Centre here in Pembrokeshire, this barn owl painting was great fun to paint. Not as common as they once were, Barn Owls are in decline with habitat loss and modern farming methods impacting on their numbers. 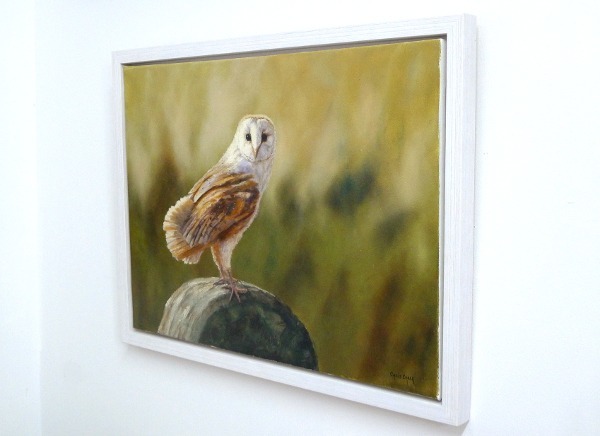 Painted on Loxley Gold stretched canvas, 24 inch x 18 inch x 1/3 inch - This painting can be framed or hung un-framed ( frame shown white solid wood floating - optional extra ).